Anyone who has ever played golf will know that straight shots aren’t always a given! How many times have you accidentally sent an expensive ball or two flying into a water hazard or worse? Retrieving golf balls can be a nightmare. That’s why, thankfully, golf ball retrievers have been designed to help us salvage them from the stickiest of situations. In this guide, we will look at the top 10 retrievers for golf balls available on the market right now. Callaway is a solid brand as far anything golf-related is concerned. Their retriever is an Amazon highlight with plenty of great reviews. 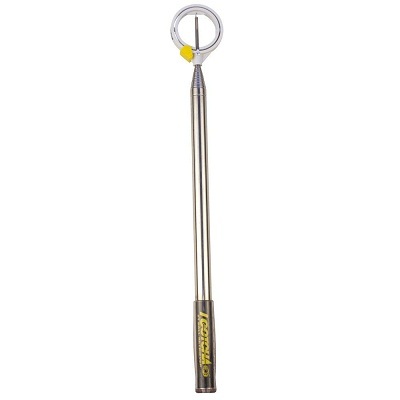 Available for less than $40 offering 6 and 15 feet extensions, this is considerable length for you to reach golf balls in the tightest of spots. Great name, great retriever? It’s another Amazon Choice pick, and with that, you can choose between basic, ‘executive’ and ‘ultimate’ models. The difference is in length! The ultimate model extends up to 18 feet for incredible reach and grasp from the thickest of water hazards. Great for those players regularly going OB! Another retriever with a wacky name, IGOTCHA’s ‘JAWZ’ model is an alternative to their standard and ultimate versions. 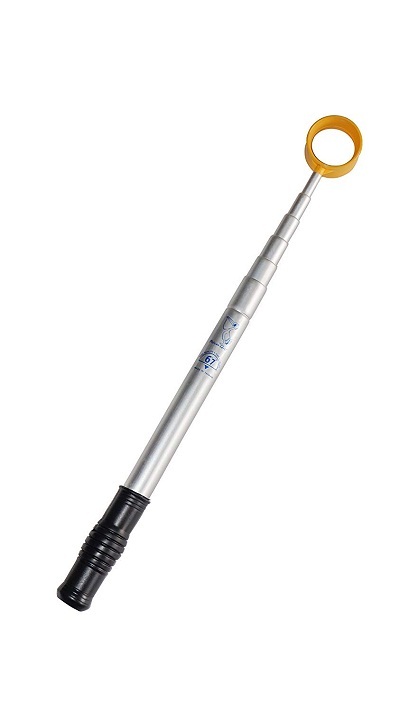 Available from 10 feet in reach for less than $30, it’s very easy to use with telescopic functionality and tight grip. That means you can easily pluck golf falls out of murky hazards without losing track. Don’t let the ‘premium’ in the name bother you. 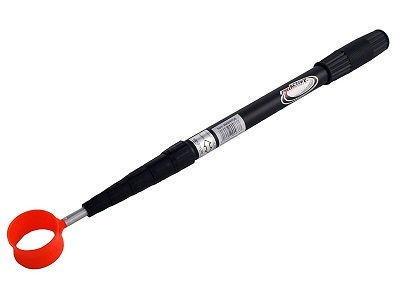 This is a well-priced golf ball retriever, priced at less than $15 for a 6-foot reach. The model arrives with twist-turn locking and telescopic design, allowing you to take complete control over lost golf balls with ease. It’s also surprisingly lightweight! This super-versatile model has some of the biggest ranges of retrievers for golf balls we’ve seen. Choose from 6, 9, 12, 15 or 18 feet models, with metal hinges or orange pressure cups. The 6-foot model is only available in orange, but this likely won’t bother you! ProActive Sports’ model is one of many retrievers for golf balls that is very reasonably priced. 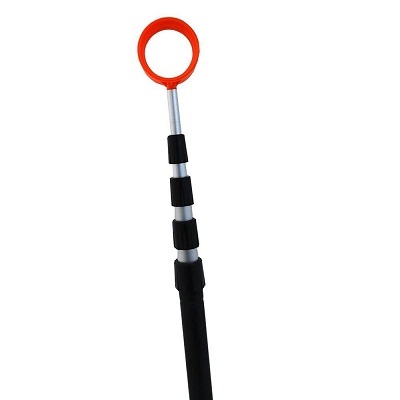 Available at less than $15, the practice stick is not a retriever as such in design. It’s more of a ball collector – you’ll be able to hold up to 23 balls at once. This professional-looking retractable device is well loved. 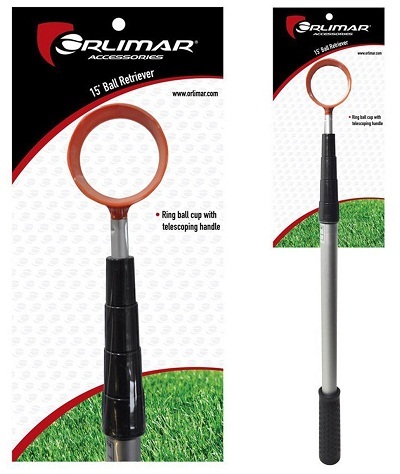 Offering extension of up to 6 feet, this model comes fitted with what the marketing calls a ‘golf ball sniffer.’ To you and I, that means it’s simply a good tool to put to work in finding lost balls! It’s a viable alternative to more expensive options. Another ProActive Sports model, this unit extends up to 6 ½ feet on the course. For less than $20, that’s a fantastic deal! It’s built to resist all weathers and years of use and is therefore perfect for retrieval from water hazards. It’s also super light for easy carriage. Simple name, fantastic product. 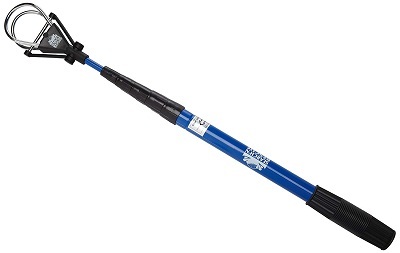 This great-looking ball retriever is available in 6.5 feet and 15 feet models, meaning you can choose between a healthy reach and telescopic support. It even comes with its own fancy zip-head cover and is solidly made to endure any and all hazards. Lastly, let’s look at Orlimar’s landmark retriever. 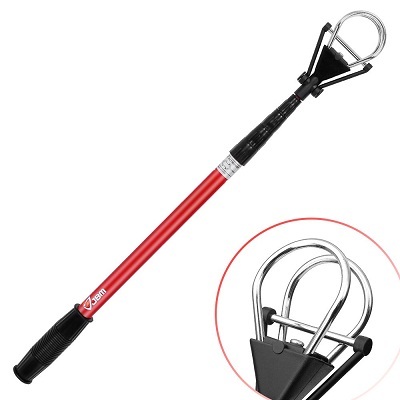 Generally retailing at less than $20, you can reach up to 15 feet with the brilliant telescopic handle. Comfortable grip and easy pickup and deposit come as standard, too. Nice and adjustable, and easy to use. Of all the golf ball retrievers we’ve reviewed here, you may now have one or two in mind which you’d like to take a closer look at. We especially recommend the Search and Rescue Retriever. It ticks all the boxes! However, your game and golf ball retrieval needs will vary! Take a closer look at buying some of these great retrievers online and compare with other users. Save money on losing pricey golf balls in the rough!